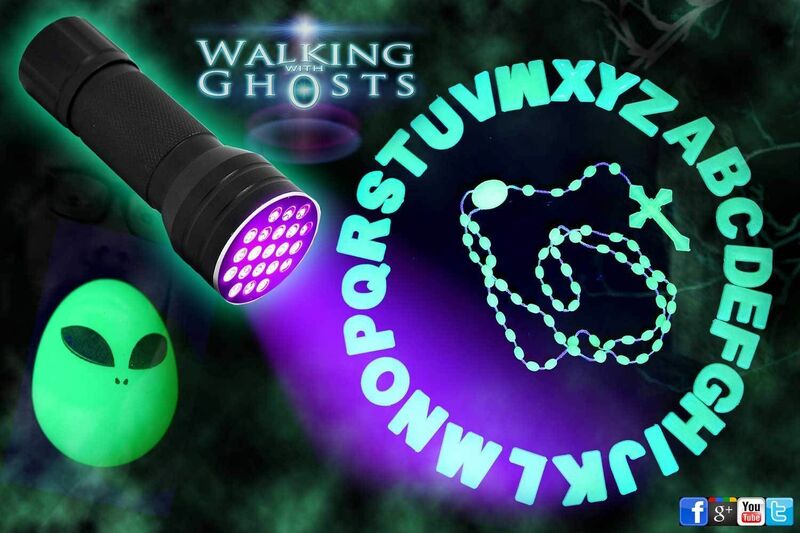 This is a great multipurpose set of glow in the dark trigger objects and also has 2x full glowing alphabet sets of loose letters. The letters can be used for glass divination using the full range of letters & or simply spell out word options like yes and no. They can also be used as stand alone tiger objects like children letter blocks. 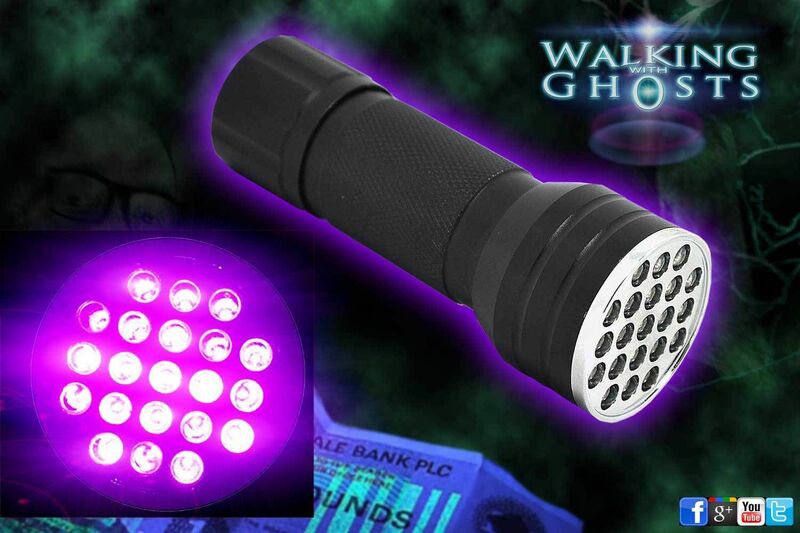 The set also includes a powerful 21 led UV (Ultraviolet/Black Light) flash light for illuminating and changing the glowing objects and letters as well as general forensic investigation work. 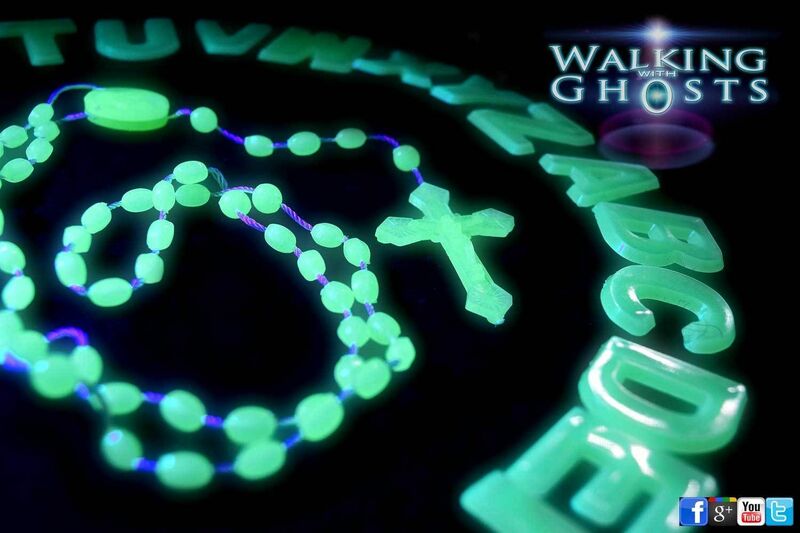 The set also includes a glow in the dark rosary bead set with crucifix and a glow in the dark egg shaped ball. All the objects can be charged up in bright light before use or charged using the UV flashlight to work in total darkness. The UV light can also provide a constant lighting of the objects without over lighting the surrounding areas. 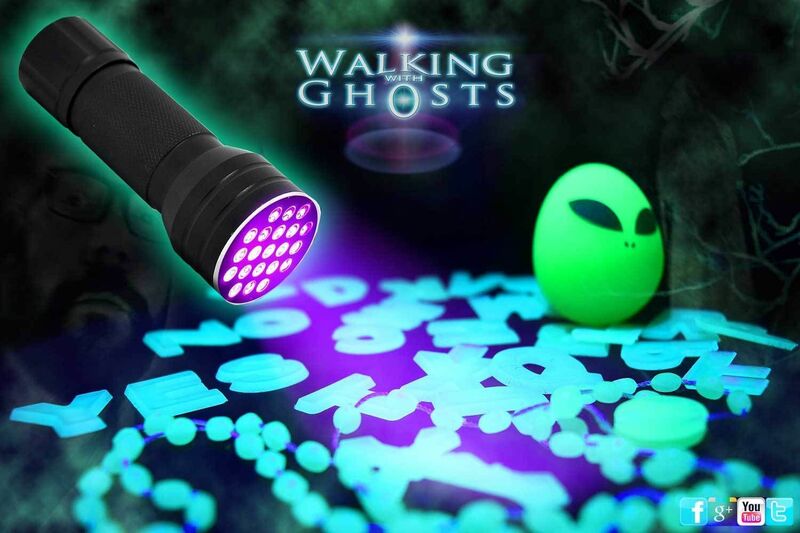 This set includes 1x UV Flashlight, 2x glowing alphabet letter sets, 1x glowing rosary with crucifix, 1x glowing egg ball. We have selected this particular flashlights as they require only three (easy to find) AAA batteries, unlike many others on the market that use hard to find expensive Ultrafire style batteries. 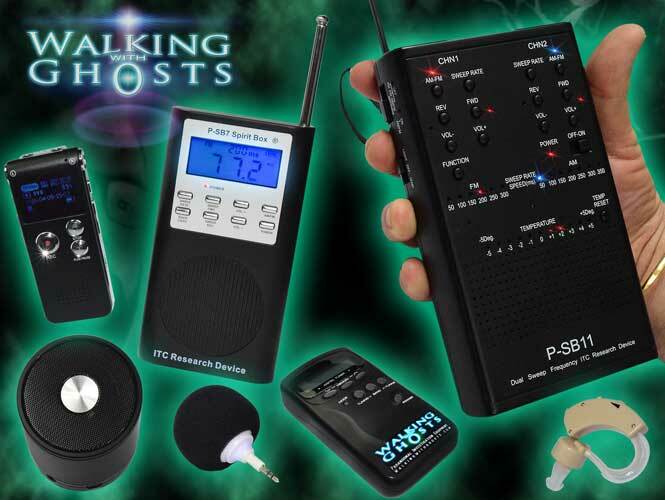 Trigger objects are used by many paranormal investigators and ghost hunters to try and capture physical evidence of spirit activity in the form of some kind of interaction. A trigger object can be used to draw or lure spirits forward in hope of some from of communication or even physical movement of the object. 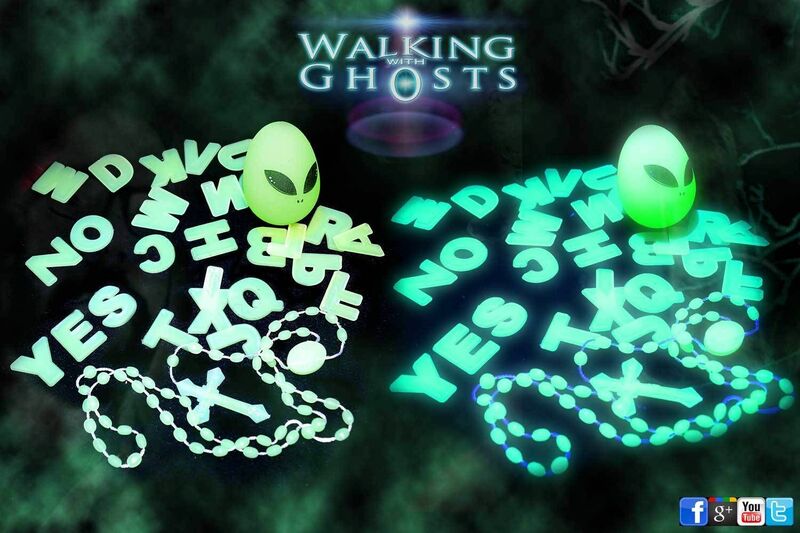 Many ghost hunters will use balls, dolls or artefacts that they think may have an association with a particular spirit or entity known from previous investigations. Like toys for children, rosary beads for priests, nuns or religious individuals, medals uniforms or such like for soldiers, and so on. Sounds can also be used which is known as the "Singapore" theory same principle applies. Objects are usually place within a controlled space and monitored by a camera or even dusted with power to reveal and movement. It is common to tell the spirit or spirits you are placing the object for them and invite them to interact with it. 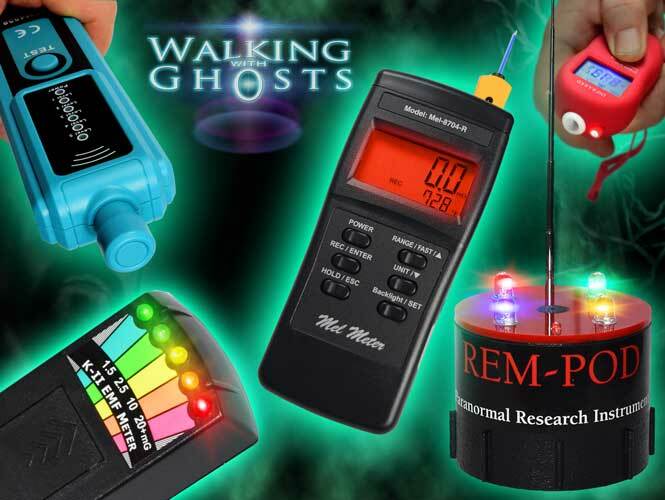 As it is thought that spirits or ghosts may be more visible in certain kinds of light the use of various spectrum specific light is becoming popular in the paranormal investigation field. Long established in the forensic research area narrow bands of light colours both visible and invisible to our eyes can highlight different organic materials and cancel out certain colours making a shaper contrast image. The same philosophy is being applied by the paranormal researcher trying to find new ways to reveal evidence on investigations. The principle of the theory is that by reducing the visible light to a very narrow band of the spectrum we may see things that would otherwise go unnoticed in a full spectrum white light. Using both invisible & visible coloured lights with full spectrum cameras is thought to be a way to see more from the other side than we could with the naked eye. The UV (Ultraviolet/Purple) lLED emitter sits at around 380 -410 nm on the Wavelength light spectrum and is the a dark fuzzy deep purple/Blue UV light sits within the visible light spectrum but is on the border line of what we can and cannot see. This is basically a version of the classic Black Light that you would see in theme parks or discos. It responds to different materials in different ways, some objects will illuminate bright blue white, like cotton fabric or paper, whereas other materials or objects go dark and almost invisible. It is this characteristic that makes it a fascinating research tool used widely in forensics. It is also a spectrum of light highly visible to full spectrum cameras.